Here’s sharing a couple of photos I took with my Panasonic Lumix FZ7 camera last Sunday afternoon at Toa Payoh town garden. I was experimenting with the aperture settings, to see how the pictures would turn out at different settings. 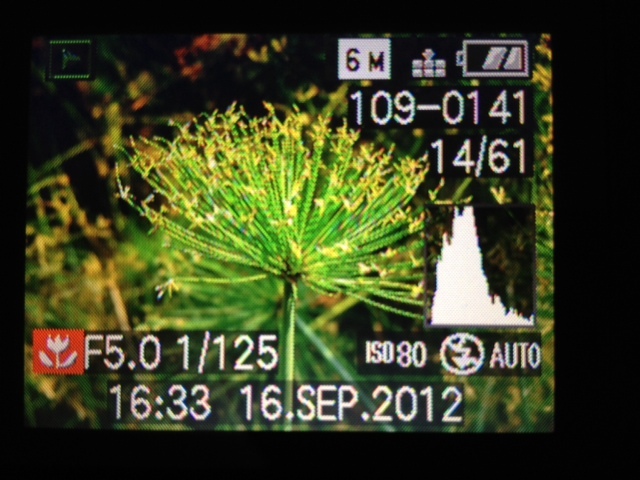 I had turned the mode dial of my camera to “M”, which allowed me to adjust the settings manually. Photo 1 shows the aperture setting of F5.0, so the aperture is opened a bit wide, which allows much light into the camera. 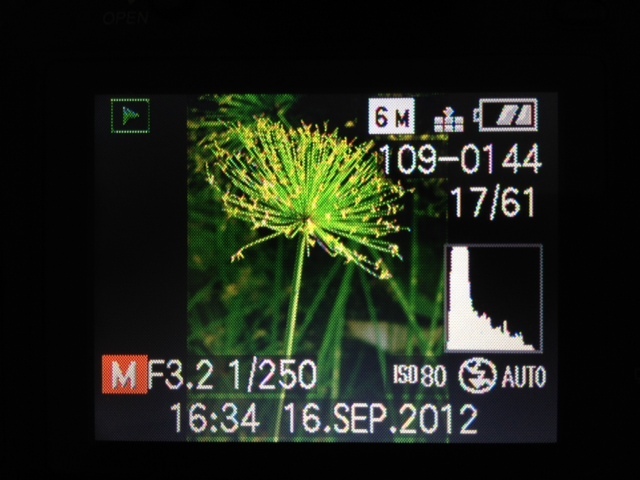 The result is that the picture appears bright, and the background behind the flower can be seen quite clearly. This photo was taken on a Macro mode, in which the camera automatically adjusted the aperture and shutter speed settings for me. Photo 2 shows the aperture setting of F3.2. The lower the aperture number (or F-stop number), the bigger is the opening (not smaller), so more light enters the camera. The result is that the main subject (the flower in the foreground) is well lit, and the background behind the flower is muted. This allows the main subject (which is the flower) to stand out more prominently from the background surrounding, because more light is now focused onto the flower in the foreground, as you can see in the attached photograph. At the same time, the shutter speed (1/250 second) in Photo 2 is slightly faster than the shutter speed (1/125 second) in Photo 1. Since more light entered the camera through a bigger aperture, I needed to use a faster shutter speed to prevent the resultant picture from being over-exposed to light. So, this is something I learnt from photography books which took me some time to understand, as the information is quite technical to me.